This is my favorite time to exercise because little is apt to conflict with my 6am workout, except being tired. That is what takes the most discipline – not so much getting up at the crack of dawn but making sure I go to bed 7-8 hours before. Studies show morning exercisers are the most consistent, however, so if you develop a new habit of getting to sleep earlier, it is worth it. Business lunches are a reality for many of my clients, but be more selective – do you really have to schedule a lunch or will a phone call do? Or think out of the box and suggest a walk. You’d be surprised at how many people would prefer to break up their day with a walk instead of lingering over a heavy lunch. When you do not have a lunch commitment, use that time to go to the gym or for a walk yourself. You will feel energized when you get back to the office! (Bring a washcloth and towel to the office to give yourself a wipe down before going back to work.) Too hot to exercise outdoors? Do the stairs in your building. In our society, it is expected that most office work will be done sitting down. But why? If I don’t have to take notes, I do all of my conference calls while walking outside. It actually makes me a better participant, since I am not quietly multitasking on my computer like so many people do on calls! I am totally present even if the conversation is boring, because my body is moving. Since recent studies show that sitting all day is extremely unhealthy even if you spent an hour at the gym, consider buying a treadmill desk, which is a small, quiet treadmill belt that runs under a standing desk and allows you to work at your computer and do phone calls while walking. I’ve had mine for 6 years, and it is the best gift I ever bought myself! (Yes I am on it right now, writing). Move between walking and sitting throughout the day – you will have more energy and a brighter mood. If you work out in the evenings, bring exercise clothes with you to the office so you can go straight to your workout. One of my clients has found a Pilates studio between his office and home, which makes it convenient to exercise on weeknights. DO NOT go home first – you’ll find too many distractions there and it will be very hard to get back out again for your workout. If you have to go straight home because of family commitments, you can still get your exercise in later: instead of lounging on the couch while you watch television (we Americans seem to find plenty of time to watch TV each day), get moving! I do yoga in front of my favorite shows, but you can also bring out a stationary bike or free weights to create a workout of your own as you watch TV. Going for a walk with your partner or kids is also a great way to spend quality time together instead of everyone going off to their separate screen. We live in Southern California, so weather is not an excuse! While your life is most certainly chock full of commitments, you can most definitely find time to be more active if you think creatively and are willing to make exercise a priority in your busy life. You will feel better, look better and you’ll have fun too! What are some of your fav tips for squeezing a workout in, in your busy day? Let me know in the comments! I love hearing from you! Alexandra is a health coach with clients all over the world. Her expertise includes a certification from Cornell University’s plant based nutrition course as well as certification from Wellcoaches School. She was a certified EMT for 23 years. As an actress, Alexandra starred in over 75 films and television shows, and is internationally recognized for her role on the TV series “Baywatch.” Visit AlexandraCoaching.com for a free 20-minute consultation with Alexandra. Follow her on Facebook, Twitter, and Instagram. On a recent trip to the doctor, after battling some not-so-fun infections this summer, I was told that sugar and the yeast in bread’s were the root cause of my fun health problem and that by lowering my consumption of the both in my daily diet, would significantly improve my current health position. The real frustrating part is that I already feel like I eat quite healthy! I don’t eat that much bread, but yes I admit, I do love my sugar and eat it daily. After paying more attention to things that have sugar (almost everything that is packaged!) aside from eating even more fruits and veggies, I’ve started getting more serious about my meals AND my snacks. Breakfast: It’s the most important meal of the day. Opt for oatmeal (not instant oatmeal, which is full of sugar!) and top with frozen or fresh berries and a banana to sweeten it up. To get more fiber, omegas, and protein in your day, I add some flax seed, hemp seeds, chia seeds, almonds, and raisins to my oatmeal as well. The seeds help sweeten it up even more and they’re loaded with healthy omegas and protein as well. Want a quick breakfast on the go? Make a protein shake/smoothie. (Make sure the protein powder is low in sugar). Add seeds, nuts, and berries for a yummy, sweet breakfast! I also juice veggies such as carrots, celery, cucumber, a green apple, lemon, spinach, and kale to get me going! This is a great daily source of veggies not to mention you get a lot of protein by juicing large amounts of spinach and kale as well. Lunch: Avoid the bread on your sandwich and make it a wrap with a tortilla instead. Being vegetarian I’ve had to switch up my daily PB&J for a soy-based lunch meat, but this way I can add a lot more veggies to my lunch that I wasn’t getting before either! A salad is also a great option too. Just be sure to add a healthy protein. If you’re vegetarian like I am, quinoa is a great option for adding to a salad. Don’t forget to add some nuts and seeds too! *TIP: Don’t fall into the trap of the low-fat salad dressing! It usually has way more sugar to make up for being less fatty! The really great part that made me incredibly happy, was seeing that FiberOne bars now have 25% less sugar and are free of artificial flavors and colors! In fact, looking at the nutrition facts on the back, I could see that these yummy bars contain FAR less sugar than the protein bars I’ve been eating pretty consistently the last few years. One Oats and chocolate bar only has 7 grams of sugar. That is insanely low for a snack bar! 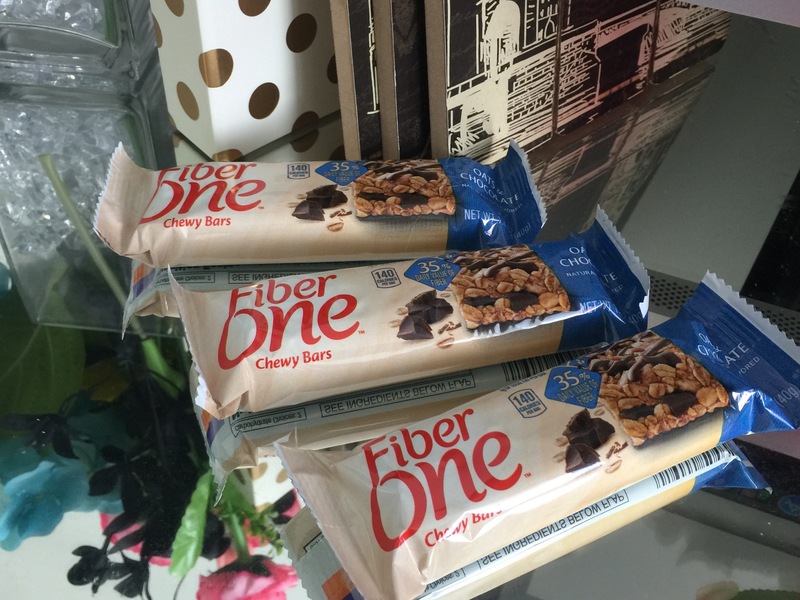 But FiberOne absolutely doesn’t skimp on taste with these yummy bars! I get my chocolate and sugar fix without eating a ton of sugar! They taste more like dessert bars then a chewy bar anyway! Not a fan of chocolate? FiberOne also makes a really yummy Lemon Bar too! Dinner: Make a yummy stir fry full of veggies. I love to add nuts to mine as well, and don’t forget a lean protein. Again, being vegetarian, I add Tofu to mine. I love spicing it up with some yummy spices such as curry, onion salt, and pepper. Or opt for a yummy flavoring sauce such as teriyaki or sweet and sour. Just be sure to check that it’s low in sugar, as sauces often run high in the sweet stuff. Top stir fry over brown rice or noodles. Dessert: Stick to a dark chocolate here if you need a chocolate fix. Otherwise, eat a fresh bowl of fruit to avoid sugar, a low sugar yogurt, and use honey or Agave instead of sugar when baking yummy desserts. Bread and Sugar can wreak havoc on a diet AND health, so keep it in moderation. I don’t completely deprive myself or I end up binging, but keeping healthy meals pre-planned for the week also keeps me on the right track and I find myself eating better, much more of the time. You can also find the big 48 pack of Oats and Chocolate, or FiberOne Lemon Bars at your nearest Costco! 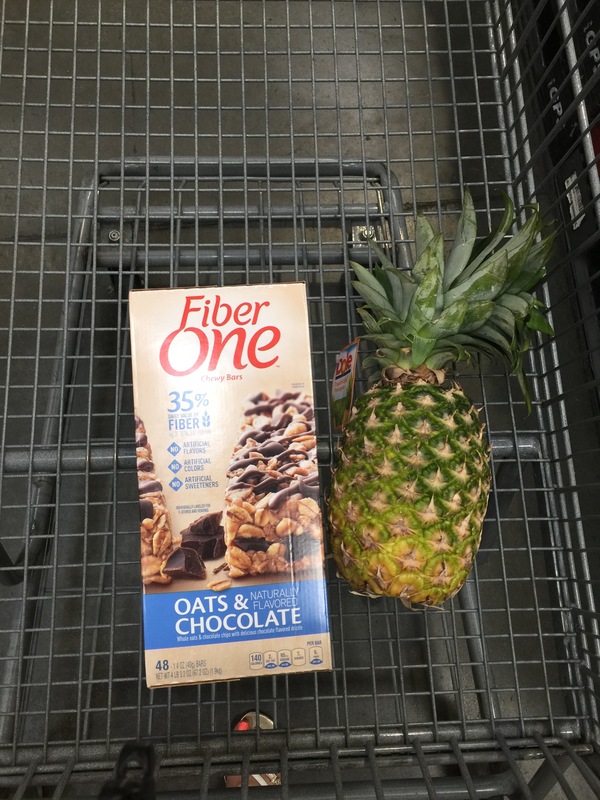 *Thank you FiberOne for sponsoring this blog post. All thoughts and opinions expressed in this post are solely my own. I only share reviews with my readers, I feel will be beneficial or informative in some way.